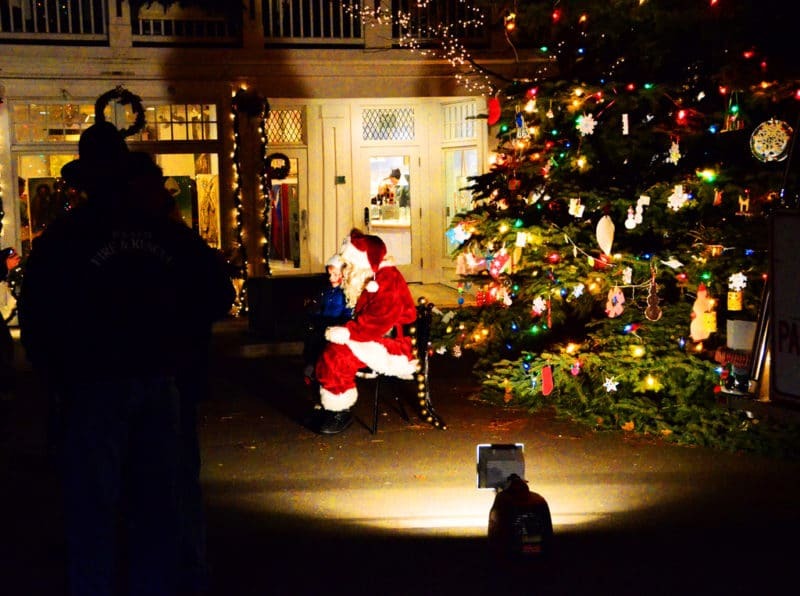 Main Street in Harbor Springs is an amazing place all year round, but during the holidays, our town will send you over the moon. There are big, fluffy snowflakes coming down pretty much from here on out, and there is nothing like strolling up one side of the street and down the other, sipping a cup of coffee from The Stained Cup and enjoying the pleasures of neighborly small-town holiday shopping. I hate to hoard all of the Up North good cheer to myself during this season of sharing, so here’s a look at some–I couldn’t possibly include them all, there are so many!–of my favorite things in and around Harbor Springs that you too can enjoy and share with the special people in your life (just click, click, click or pick pick pick up the phone and give us a jingle). Won’t it be fun when you tell your people: it came from Northern Michigan! 1. 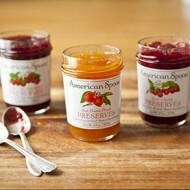 I love to send American Spoon gifts–their preserves and other wonderful, small-batch jars are made with local fruits. Don’t miss the Damson Plum preserves or the Wild Eldberberry Jelly. 2. Our own local creative genius, Molly Kircher, has launched Trybe, a gorgeous line of super-soft, super-stylish clothing (such drape!) in neutral shades that seem to play on our Petoskey stones, colors that go everywhere, calmly. 3. Michigan is all about its maple syrup. It’s everywhere Up North, including this farmer’s market favorite from Maple Moon Sugarbush. The name alone sells me! But the syrup? To die for. 4. Nothing says Northern Michigan better than a Petoskey Stone from the waters of Lake Michigan. The fossilized stones are the prize of children who hunt for them all summer long. That’s fun, but I do like walking up to the counter at Grandpa Shorter’s to find an array of shiny stones for the choosing. They make great paperweights, and the Petoskey stone Christmas tree ornaments are lovely. 5. 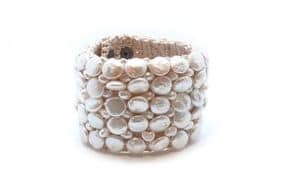 I am enamored with pearls, including this five-strand coin pearl cuff from Harbor Springs’ Elizabeth Blair Pearls. The pearl salon (yes!) is filled with unique treasures I can’t take my eyes off of. 6. Trisha Witty’s paintings are the pride of Harbor Springs (and far, far beyond). There are options at all price points, from limited edition prints and gyclees to traditional oil paintings. 7. Huzza on Main Street is the very definition of style. 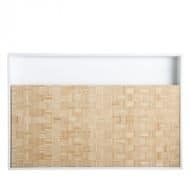 I am a fan of everything in the store, but their always-interesting and beautiful salad bowls, as well as this spectacular bamboo block cutting board and serving piece, are outstanding. 8. These are turtles. They come from Howse’s Fudge. We buy lots, and lots more, of Howse’s fudge and candy from Chris Howse or one of his eleven children behind the counter in Harbor Springs. 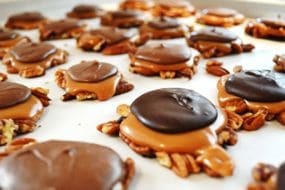 We send big boxes of this to one another in the family for all special occasions, but we also buy just a piece or two most every time we pass by (which is, um, often). 9. You know how I feel about Michigan cherries. Anyone who has tasted dried tart cherries from Michigan knows what a gift they are. Send a big bag, and make someone happy. 10. It’s the simple things, is it not? 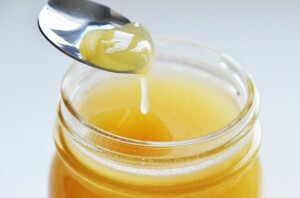 This is simply a jar of raw honey, but the flavor, the texture, the aroma–I can’t get enough. I keep it with me always, everywhere for my cafe blanc and everything else I can think of. A jar of this honey from Pond Hill Farm (check out all of their other treats) is a sublime gift. 11. Monogram Goods is exactly that (and much more, in high style). 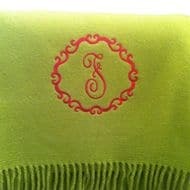 I give their soft, cozy monogrammed throw blanket, and have a great time choosing the blanket and thread colors and the monogram style. You should see the wall of thread spools in the back of the store! Rainbow. Just a perfect present for all ages and occasions. Thank you for taking a look at some of the wonder of Northern Michigan. And thank you, Northern Michigan, for giving us so much wonder to love. 9 Responses to "Favorite Gifts Ideas from Up North, for you"
All that was so heart warming, since we left there in Oct. I miss the “lighting of the tree’ and all the rest of the holiday season goings on. However, we did catch the “lighting of the tree” in Naples. Glad to be out of the cold and snow….but do miss the fun of Harbor and Petoskey around the holidays. When will u be in Naples? After the first of the year? Please let me know. Thanks cousin for all you do to warm our hearts. Maureen, what a wonderful heart-warming post! and lovely gift ideas! I have been secretly enjoying your blog for many many months! I am so happy everytime there is an update…I love how you write with such honesty …there is something very warm and sincere and real about your blog which i tremendously enjoy…and the pictures are a delight as is the crockery you use and the little stories behind every piece of crockery and the family stories are so moving and wonderful…. Now that’s just the sweetest note ever! I’m so touched! Thank you so much Aditi for taking time to write and for your kindness. I look forward to seeing you here more! 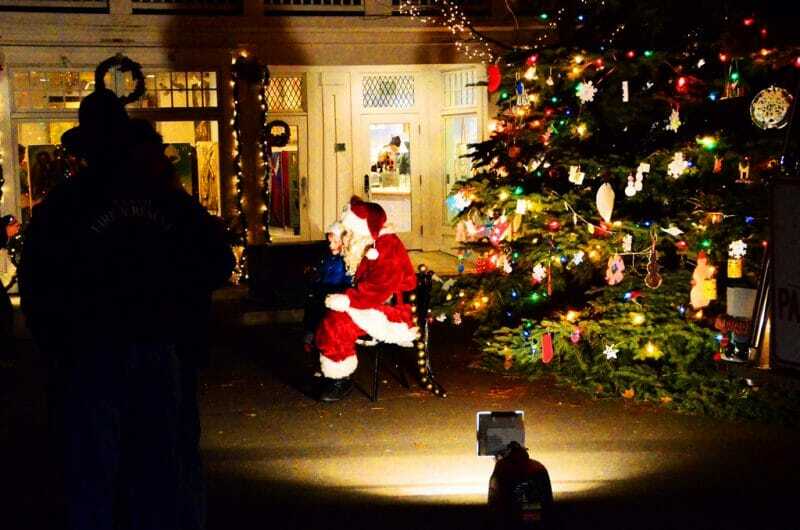 I was there for the tree lighting (actually town lighting) with my daughter and grandkids. It truly is a magical little town, a Norman Rockwell painting come to life. I love it there. Thank you so much for including us in your heartwarming post of Northern Michigan’s shopping destinations! We adore working with you on fun projects and gift ideas!